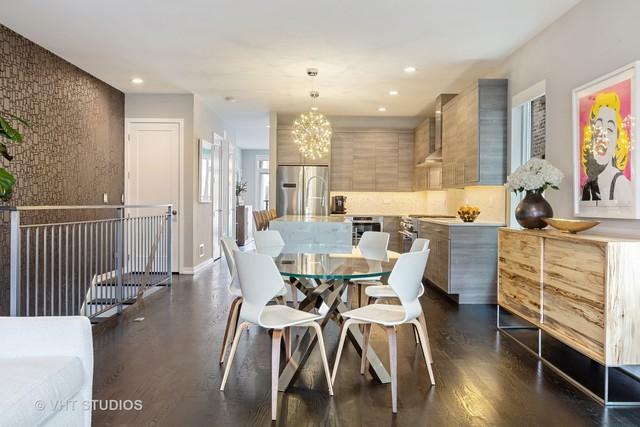 Contemporary custom Ukrainian Village smarthome with three outdoor areas. 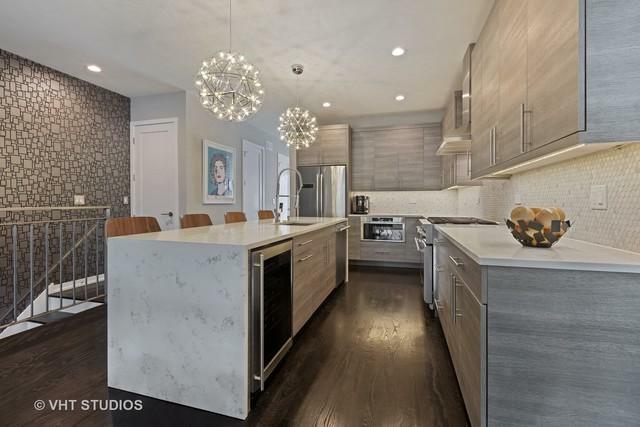 Beautiful designer finishes throughout. Hardwood floors in living, kitchen & family room areas. 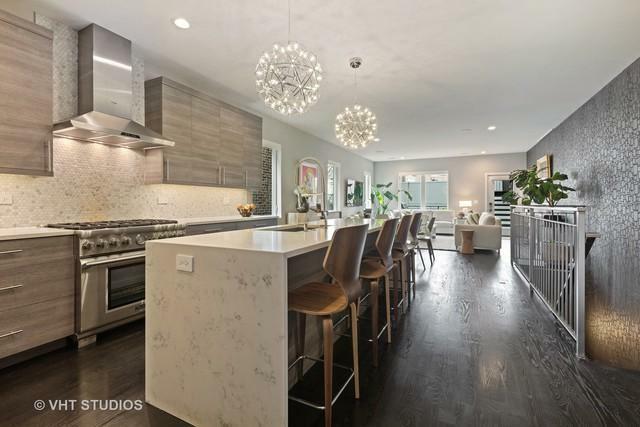 Thermador chef's kitchen with a quartz waterfall island and beautiful modern cabinets. Ensuite spa master bath with radiant heated floors, steam rain shower and a separate soaking tub. Large master bedroom has a walk-in closet. Private roof deck with catwalk access from the home & two walkout private terraces. Motorized custom shades in every room. Home is wired for sound, includes smart locks, switches & a nest thermostat. One garage parking spot is included in the price and an additional storage room. Dog walk in the rear of the building. 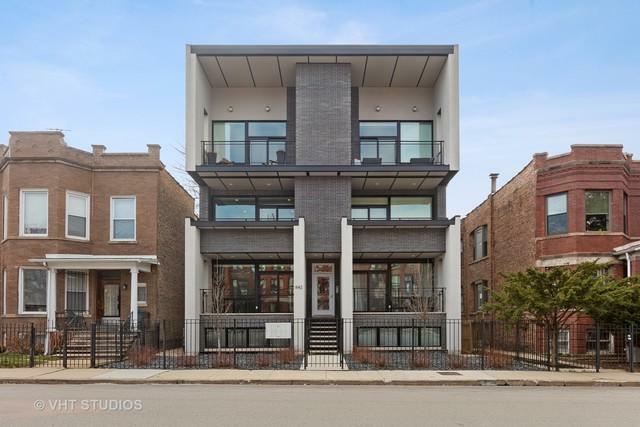 This duplex is spectacular!! !